Dayton, Ohio is a senior friendly town, but it is also a college town. Whether you're an active baby boomer enjoying retirement, a boomer/caregiver, or a person who needs assistance in the day-to-day routines of life, Dayton offers something for everyone. 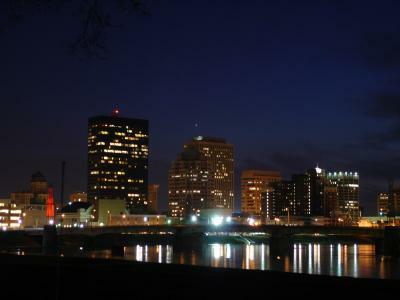 Why Retire to Dayton, Ohio? According the U.S. Census Bureau, about 12.5 percent of the people who live in Dayton, Ohio are over the age of 65. The median age of the population is 33. Dayton has a very rich history and was founded in 1796. Today its metropolitan environment offers a nice blend of things to do for seniors with varied interests, but also offers a framework of services designed to meet needs within the senior community. However, consider the economic climate of Dayton too before choosing this location, as Dayton's economy has suffered considerably in recent years. In June, 2010, The Dayton Daily News reported that of the nation's 100 largest metropolitan areas, Dayton fell within the bottom 10 in the areas of job loss and loss of economic activity in 2004. The other side of this economic coin is that the median house price is only $110,900. While the economy works to recover, Dayton offers affordable homes. Dayton is also an attractive choice for military retirees because their military federal pensions are not taxed in Ohio. Dayton is a transportation-friendly city for seniors. People who don't drive have public transportation options, and for seniors who need more personal assistance, transportation services can be arranged through an eldercare network in the area through Home Instead Senior Care. Along with transportation services, this organization offers a comprehensive assortment of non-medical in-home services. Sinclair College provides learning opportunities for seniors in classes offered throughout the county. These classes are taught at nursing homes, community centers and retirement villages. For students 60-years-old or older who are interested in auditing classes on the college campus, tuition is waved. 10 Wilmington Place: Options for independent living as well as assisted living and nursing care. Grand Place: For people 55 and older with an income of less than $25,920 ($29,640 per couple). HCR Manor Care: Provides short-term and long-term quality care for patients and residents. The Manor includes rehabilitation centers, assisted living facilities, outpatient clinics, home health care services as well as hospice. St. Leonard: Offers a number of options from independent living to assisted living and special care. Is Dayton Right for You? If you enjoy living in a metropolitan environment, Dayton may be the retirement destination for you. However, if you haven't spent time there, make a visit to the city before making concrete plans. A first-hand experience will help answer questions and give you a personal opinion on which to base your decisions about the possibility of moving to Dayton sometime during your senior years.